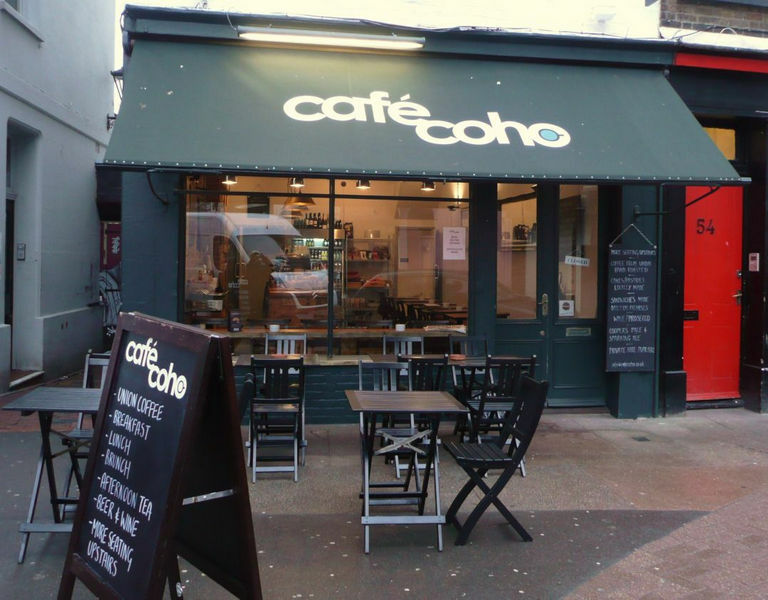 Cafe Coho is an independent cafe located in the heart of the Lanes and where you can enjoy a warm cup of tea with delicious pastries. 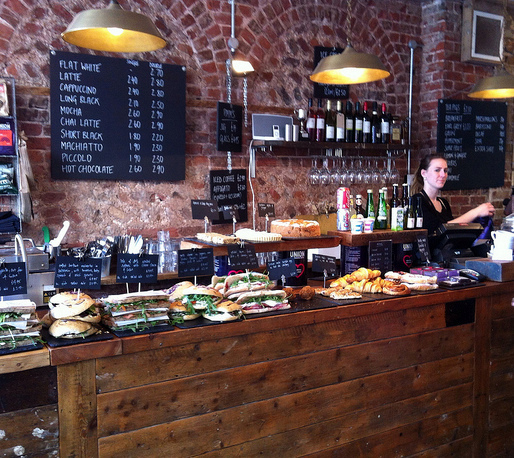 They also serve breakfast pretty late and a wide variety of sandwiches all day long. But now, let me tell you why I kept coming back to Cafe Coho. 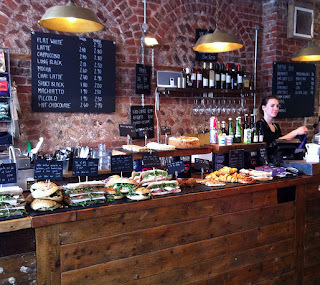 First, it's because of their amazing Chai Latte (the best I ever tasted) but also because of their perfect carrot cake. Moreover, if you want to sit outside, you'll find covers on the chairs. Yes, someone finally understood that foreigners are not as cold resistant as British people! They also have large tables upstairs with a nice view on the Lanes, so you'll be generally able to find somewhere to sit. The prices are totally reasonable compared to the quality of the food and drinks, and more especially compared to Starbucks or Costa Coffee ;). 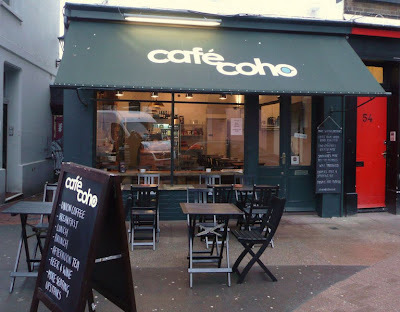 And by the way, I just saw that a second (and bigger) Cafe Coho will open near Brighton station!